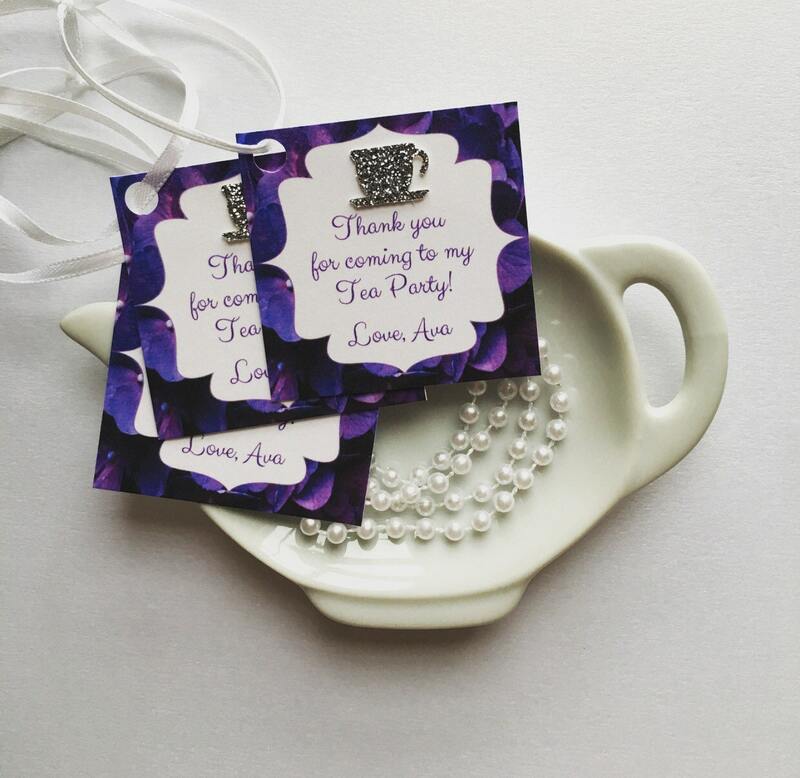 12 Tea Party Thank you/Favor Tags for any occasion! 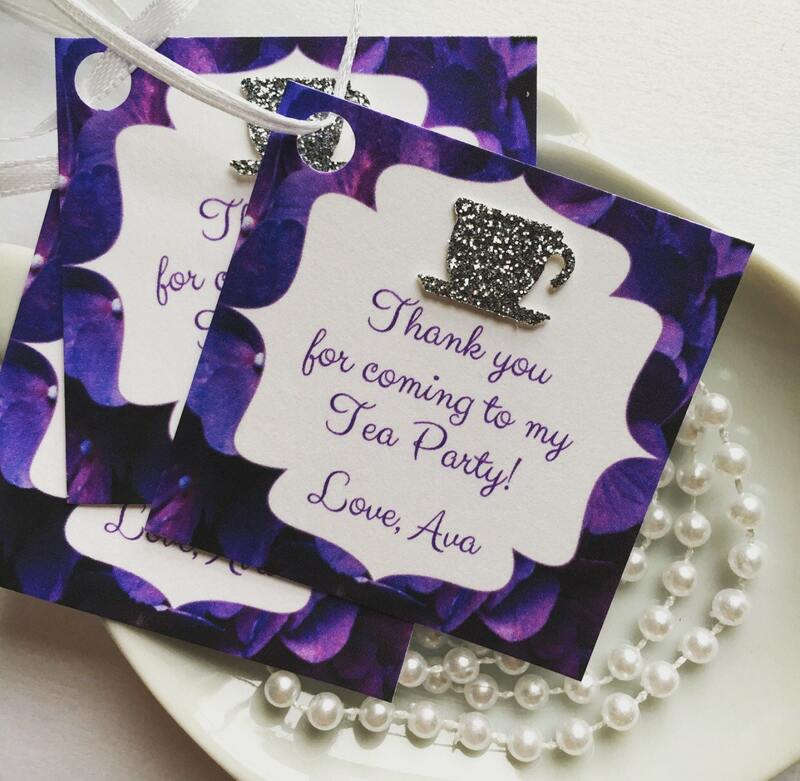 These tea party favor/thank you tags are the perfect addition to your tea party themed party! 15 Thank you tags with tea cup embellishment attached. Each tag can say whatever you'd like. Just specify in the note to seller section. I have any and all colors available. Just message me for color choices. The floral design and font can be changed based on the color you would like.